World Triathlon Corporation (WTC) announced today, that the first World Championship outside us-american soil will be 2014 in Canada. IRONMAN 70.3 WC will be hosted in Mont-Tremblant, Canada on September 7. Either Australia, Central Europe or Asia could be provide the race venue in 2015 or at least 2016. The odds may prefer Australia as of today, but Europe has some great races in the mix too. IRONMAN has chosen Mont-Tremblant, Québec, Canada to host the 2014 IRONMAN 70.3 World Championship. Québec’s Prime Minister, Pauline Marois, and the Mayor of the City of Mont-Tremblant, Pierre Pilon, were on hand to make the announcement about the race this afternoon. Taking place on September 7, 2014, this will be the first time in IRONMAN history that a single location will host three major IRONMAN events: IRONMAN, IRONMAN 70.3 and now the IRONMAN 70.3 World Championship. "The choice of Mont-Tremblant as the host venue for the 2014 IRONMAN 70.3 World Championship was an obvious one given the success of the inaugural IRONMAN events held here in 2012," says Andrew Messick, Chief Executive Officer of IRONMAN. "We are confident that Mont-Tremblant and the province of Québec will be the ideal hosts for the first IRONMAN World Championship event to be held outside of the United States." This year’s IRONMAN 70.3 World Championship will be held at Lake Las Vegas in Henderson, Nevada on September 8, 2013, and will represent the third and final year in that location. Beginning with Mont Tremblant in 2014, the IRONMAN 70.3 World Championship will rotate globally among different regions on an annual basis. Each year, more than 2,000 domestic and international competitors earn the right to compete in the World Championship by qualifying at an IRONMAN 70.3 event. Andrew Messick, World Triathlon Corporation's CEO since June 2011 recently claimed, that IRONMAN should be aware for its tradition, but should be open for change and innovation, as the sport of triathlon evolves rather quickly. 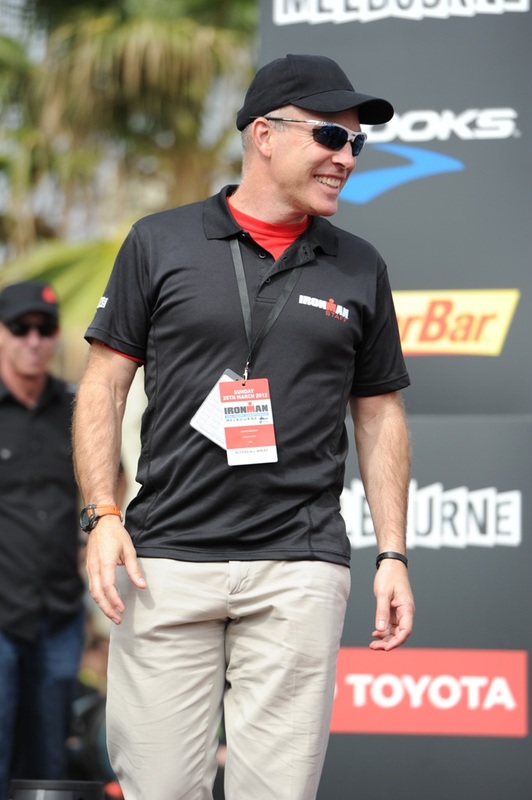 During the first two years of his leadership, Messick and his team established an even quicker pace, building new race venues, initiatives and products. Dnf-is-no-option.com had the opportunity to chat with this IRONMAN finisher from Tampa, Florida. Dnf-is-no-option.com/3athlon.org: Andrew, thank you very much for the time talking with us. We would like to get some insights on latest development within World Triathlon Corporation (WTC) and the sport of triathlon in general. Can you tell us a bit about yourself? What would be a typically Andrew Messick work day or work week look like? Andrew Messick: It is very hard to describe a typical day or week. We are a fast-growing global company so every day is different. During race season, I am at events most weekends. In the office, I spend most of my time with our team focused on growth and ensuring that we continue to create and operate superb events. DNF: You finished several of your own races. Do you have a memorable story you would like to share, that is typically for the IRONMAN lifestyle? Andrew Messick: I am a three-time IRONMAN finisher. Canada in 2005, Lake Placid in 2006 and Mont Tremblant in 2012. I have done numerous IRONMAN 70.3 races over the years. Like most of us who embrace the multisport lifestyle, I hope to continue racing for many years to come. I have the usual horror stories related to all types of racing disasters. Decorum prohibits me from explaining further…. 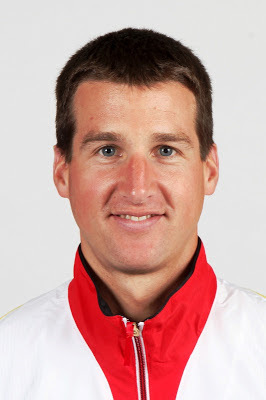 Andrew Messick: I enjoy cycling the most but generally I am a better runner than cyclist. DNF: You've got a decent background in cycling industry. Can you compare both, triathlon and cycling from your experiences with AEG Sports and WTC? What have these two in common, what are the main differences on a competitive or business level and in terms of their respective peer groups and athletes? Andrew Messick: Both cycling and triathlon are operationally intensive sports that rely on public roads and infrastructure. It is difficult for people who are not in the business to understand the complexity of organizing such events. They are far harder to organize than laymen realize. DNF: You were in charge for Tour of California for four years. Is there a “biggest learning”, comparing IRONMAN with a multi-stage cycling event? Andrew Messick: The business of professional cycling is about the teams & riders, media and sponsorship. The business of triathlon is about age-group athletes. Both cycling and triathlon use similar public and private infrastructure but are very different in terms of focus, customer touch points and the overall athlete experience. At IRONMAN our goal is to provide our athletes with a life-changing race experience. We put enormous time and energy into ensuring that the athlete experience is top-notch. We measure everything and listen to our athletes obsessively. We change and modify what we do and how we do it based on a robust dialog with our athletes. 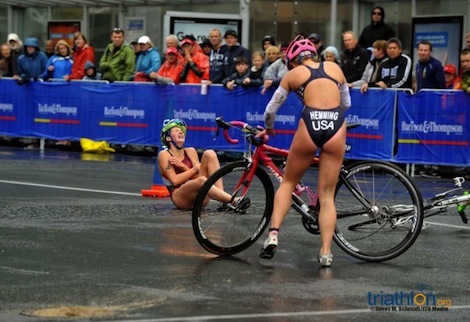 DNF: What five words could be describing a current age group triathlete the best? Andrew Messick: Dedicated, disciplined, passionate, courageous, tough. DNF: Looking back on the last two years. What were your teams’ biggest achievements, challenges and in what areas do you think you struggled a bit? Andrew Messick: In recent years, we have made great strides in improving the athlete experience. We have introduced the Legacy Program, which allows serious, long-time IRONMAN athletes an opportunity to race Kona. We have introduced an age-group ranking system and a triathlon club program, which we expect, is going to create a lot of excitement in the coming years. We also have a global age-group ranking program that allows athletes from around the world to be able to compare performances. I think it will be a great way to strengthen our global community of athletes. DNF: WTC or its parent company World Endurance Holding (WEH) recently bought back races from its franchisees. At what stage is this process? Any white land marks, you would like to develop more in general? Andrew Messick: Controlling the athlete experience is one of the reasons that we generally own our events instead of licensing them. Our races in North America, Europe and Australia/NZ are almost all owned and operated by our team. This gives us more control over the athlete experience and provides us with the freedom to make upgrades and changes to our events to ensure that the level of quality that we deliver is unsurpassed. There really is no substitute for having races delivered by your core team. It was our focus on an unsurpassed athlete experience that caused us to walk away from a number of races in Asia – they simply were not good enough to be called IRONMAN events. We continue to have a number of very good licensed events in certain parts of the world and we work closely with our licensees to make these events extraordinary and worthy of the IRONMAN name. DNF: Triathlons core sports are swimming, cycling and running. Any thoughts on producing single sports events like Gran Fondo or Velothons and big mass participation runs from 10k up to marathon distance? Andrew Messick: In the past two years, we have really focused our efforts in making sure that we are able to keep the fundamental promise to our athletes: safe, fair races with a life-changing athlete experience. We have gotten better in this area and we will continue to get better. I am intrigued at looking into other participation sports areas but I feel that long-distance triathlon will continue to be our focus in the coming months and years. DNF: Erik Vervloet, WTC's former Chief Marketing Officer told media, that WTC was very aware, that a start of disgraced cycle icon Lance Armstrong would be a risky move for IRONMAN Kona, Hawaii. Multisport enthusiasts looked at the whole case with mixed emotions. I, as pretty any other endurance athlete at one moment of this developing story, would have loved to see Armstrong racing in peak form in the “big one”, the IRONMAN Hawaii. But - especially in Europe, fans were aware of a long history of doping allegations. These allegations finally build momentum and ended devastating for Armstrong. Would you like to provide your point of view as of now on the overall incentive, bringing Armstrong into IRONMAN? Andrew Messick: WTC was the first private company to become a WADA Code signatory – we are proud that we have been aligned with the clean sport movement for a very long time. Because we are signatories to the WADA Code, we have an obligation to follow WADA’s rules. I do not think that anyone was fully prepared for the scope and magnitude of USADA’s findings as it related to Lance’s Armstrong. For us, the decision around Lance is simple: Since we are signatories to the WADA Code, if Lance Armstrong is not allowed to race under WADA rules, he cannot participate in any of our events. DNF: You recently welcomed the 2015 WADA code changes regarding an extended four year ban for first time violations on Twitter. Athletes, like Helle Frederiksen encouraged more out of competition testing. Can you give us at this time an outlook on scale of the current testing regime and how WTC adapt and synchronizes its programs with various stakeholders, e.g. WADA, USADA and regional or national governing bodies? Andrew Messick: We believe in clean sport and we are committed to do our part to make sure that happens. We conduct our own anti-doping program, in compliance with the WADA code. Our following the WADA rules means that any adverse analytical findings are automatically sent not only to WTC but to WADA and the athlete’s national federation and NADO. We work closely with NADO’s around the world to coordinate testing among athletes. Drug testing is expensive, so we need to be careful to make every test count. We test both in competition and out of competition. I am proud that WTC leads in this area. It would be easy to say, “drug testing isn’t our problem” or “someone else should spend the time and money and effort of doing drug testing” – But we are the leaders in the sport of triathlon so we are out in front on this issue. Being a WADA signatory does create a certain tension for us. Many of us are athletes ourselves and we hold strong personal views about whether athletes who have been caught and sanctioned should be allowed back into our sport. But we follow the WADA Code -- and the WADA Code says that if an athlete fulfills their sanction, they are allowed to compete again. So we too let them race, regardless of personal views. DNF: Lance had to enter the qualifying process for his road to Kona. The years 2008/2009 and 2012/2013 saw a major migration from well established, more mature Olympic Triathlon professionals following the games in Beijing, respective London into IRONMAN 70.3 and IRONMAN racing. Is this a natural evolution? Andrew Messick: It shouldn’t surprise people that in the year following an Olympic Games, there is a period where Olympic athletes make decisions about whether to sign up for an additional Olympic cycle or choose to explore other aspects of the multi-sport life. Professional athletes are always going to follow the money. Kona is now the biggest prize purse in triathlon and IRONMAN’s total payout to professional athletes globally in 2013 will approach $5 million if you include Hy Vee [editor's note: 5i50 triathlon]. The money, combined with the prestige and exposure of winning either of our World Championships, make us attractive to professional athletes. DNF: Javier Gomez Noya recently won the XTERRA World's by invitation. Would this be an option to invite ITU's World Champions and Olympic Champions the following year, using a wildcard system or do you see an unfair advantage? They might be a little bit fresher, than their competition, who is attending in these qualification races. Andrew Messick: Our championship qualification system [editor's note: Kona Pro Ranking, aka KPR] is fair to the athletes that take the time and make the effort to qualify – and our loyalty is to them. Only a fraction of our professional athletes end up racing Kona and I do not want to create a system where qualifying is bypassed or athletes that are not committed to IRONMAN are gifted into our championship races. That said, our partner race, Hy Vee, allows for a small number of wildcards. After the Olympics, we offered Hy Vee wild card entries to the Olympic medalists. Lisa Norden and Javier Gomez accepted theirs and ended up winning. We have a rule that allows the winner of Kona, 70.3 WC & Hy Vee entry into all three races in the following calendar year. So according to our rules, Gomez and Norden are both eligible to race 70.3 WC and Kona in 2013. We will see how they do. DNF: Reviewing this Kona Pro Ranking, will 2014 see some fine tuning regarding races, point allocations, points distribution within different series (5i50, 70.3, IRONMAN) or anything else important? Andrew Messick: We are generally pleased with the KPR system. We believe that it has gotten the appropriate athletes to our races. We will nonetheless fine-tune the system in 2014. I believe that we can modify the structure somewhat to provide more incentive for athletes to win races and to somewhat de-emphasize non-top 10 performance in bigger races. DNF: Back to age groupers. SwimSmart is a new initiative, which seems to be addressed to first timers, to make the swim a bit less stressful and safer. What are your first reactions from athletes so far? Can you share some already established insights? Andrew Messick: The reaction so far has been positive. Swimming in a triathlon is a potential entry barrier to our sport. Even experienced triathletes often are uncomfortable in the swim. We have an obligation as leaders in the sport of triathlon not only to do all we can to make the swim safe but also to help athletes overcome the stress and anxiety of racing in an open water environment. We intend to do everything we can to make our events as good for our athletes as possible. There is no one in the world with our organizational capabilities and we continue to get better. We will also do all that we can to help our athletes get physically and mentally ready for our races. DNF: WTC announced IRONMAN 70.3 World Championship will rotate on an annual level. The pros loved the timing, just a few weeks ahead of IRONMAN Hawaii and the fair and scenic race course in Las Vegas as well. Doesn't the new rule put either some athletes out of the competitive mix, as they focus on Hawaii, or some races if the 70.3 Worlds does/doesn't move away from “traditional” September slot? Andrew Messick: In its 35-year history, IRONMAN has never had a World Championship event outside of the United States. Need I say more? DNF: As former IRONMANLIVE.COM contributor, I still get a lot of feedback from races all year and especially Kona. Are there any plans in place to enhance the current user experience during Live Coverage? Andrew Messick: We are always looking to enhance the live experience at our races. We expect to launch some exciting new initiatives in this area later this season. DNF: Thank you very much for sharing some current developments and insights. Do you want to stay informed on latest developments on 3athlon.org? Sign-up today your free BETA account. Please be patient, as the rollout will take several stages to make sure, every service works fine. 3athlon.org – DNF is no option. Greg Welch, former Ironman Hawaii Triathlon World Champion and long term WTC staff member gives us a visual and audio preview on 2013 Ironman 70.3 Hawaii race course. The International Triathlon Union (ITU) today announced the release of a Smart TV app for live broadcasts of the World Triathlon Series via ITU's online TV portal, triathlon.org/tv. The app is now available, in timing with the ITU World Triathlon Madrid, which takes place on 1-2 June. "As the popularity of triathlon grows, we are continually sourcing new opportunities to bring the sport to the public," said ITU President and IOC Member Marisol Casado. "The Smart TV app now allows fans to conveniently watch the highly entertaining live World Triathlon Series broadcasts on their Smart televisions for an enhanced viewing experience." Smart TVs converge online properties with traditional television programming through interactive media and on-demand streaming. The integrated approach allows customers the opportunity to combine all digital entertainment in one location. The app is provided as an additional service to subscribers of triathlon.org/tv, simplifying the process of accessing the live and on-demand streaming video of all ITU World Triathlon Series events on Smart TVs. In addition to the live broadcasts, triathlon.org/tv also offers 14 magazine shows, which feature race highlights, athlete interviews, and behind-the-scenes action from both WTS and World Cup events. The triathlon.org/tv app was created by NetRange, a global provider of brand-independent Smart TV portal solutions as well as the world's most successful service provider for the development of Smart TV applications. The app will be made available on Samsung devices and all Smart TVs or set-top boxes with a NetRange portal, such as Loewe, Sharp, IKEA, Thomson, or HD+ / SES Astra, in 69 countries across Europe and the Americas. "We are very confident triathlon.org/tv subscribers will find the app a huge benefit to their viewing experience," said NetRange CEO, Jan Wendt. "Triathlon fans can now quickly access the broadcasts both live and as video on demand via a streamlined and simplified experience that eliminates traditional internet browsers." Mit den Rennen in Madrid kommt die Triathlon-WM-Serie an diesem Wochenende nach Europa. Entsprechend hat die Deutsche Triathlon Union ihre Topstarter um Vize-Weltmeisterin Anne Haug (Bayreuth), Olympiasieger Jan Frodeno und Steffen Justus (beide Saarbrücken) in die spanische Hauptstadt gesandt. Zudem werden Anja Dittmer (Neubrandenburg) und Anja Knapp (Dettingen) sowie bei den Herren Gregor Buchholz (Saarbrücken) und Franz Löschke (Potsdam) um gute Platzierungen und WM-Punkte kämpfen. „Als Gesamtmannschaft ist unser Ziel schon eine Toppplatzierung und ein Rang unter den besten Zehn“, ist DTU-Cheftrainer Ralf Ebli guter Dinge vor den Wettkämpfen. „Unser Vorbereitungslehrgang, den wir mit allen Kaderathleten in Saarbrücken initiiert hatten, lief ausgezeichnet“, sind die deutschen Triathleten grundsätzlich gerüstet für die kommenden Aufgaben. Für die beiden Jüngeren im DTU-Nationalkader, Buchholz und Löschke, geht es darum wieder an gute Leistungen anzuknüpfen und ein stabiles Ergebnis zu erzielen. „Nachdem beide in den letzten Wochen mit Krankheiten zu kämpfen hatten, geht es für sie darum, ordentliche Anschlussleistungen abzurufen“, so Ebli. Im Kampf um die Podiumsplätze müssen sich die DTU-Starter vor allem mit den Lokalmatadoren Javier Gomez und Mario Mola, dem britischen Weltmeister Jonathan Brownlee und auch Richard Murray (RSA) auseinandersetzen. Nahezu eins zu eins kann Eblis Prämisse der Anschlussleistungen auch für die beiden „Anjas“ im Frauenrennen übernommen werden. Insbesondere Anja Knapp hatte nach Verletzung in der Vorbereitung gleich beim ersten WM-Rennen in Auckland zwei Rippenbrüche erlitten und konnte somit in den Laufentscheidungen der bisherigen Wettkämpfe nicht mithalten. Ganz anders sieht dies bei der aktuellen deutschen Toptriathletin Anne Haug aus. „Da ich auf dem Gesamtpodium der WM landen möchte, geht es schon darum, in jedem Rennen möglichst auf das Podest zu kommen. Allerdings kann ich meine aktuelle Form schlecht einschätzen, nach dem Wettkampfblock im April und Mai lief die Vorbereitung nicht ganz optimal.“ Dennoch geht sie optimistisch ins Rennen. „Die Strecke kommt mir mit dem schweren Radpart etwas mehr entgegen, aber auch ich muss da erst einmal immer wieder hochfahren“, lacht die 30-Jährige WM. Neben der in der WM führenden Amerikanerin Gwen Jorgensen werden die drei Deutschen unter anderem auch auf die starken Britinnen Jodie Stimpson und Non Stanford treffen. Wie sich das deutsche Damentrio dabei schlagen wird, zeigt die ARD-Sportschau am Samstag ab 17:03 Uhr, indem sie sich in das laufende Rennen live einschalten wird. Start ist um 15:29 Uhr. Die Herren beginnen am Sonntag um 12:36 Uhr. Auch hier wird die ARD in einer Zusammenfassung ab circa 17:00 Uhr Bewegtbilder zeigen. Beide Rennen live sehen kann man unterwww.triathlon.org/tv. Der Deutsche Behindertensportverband (DBS) hat die Position des Cheftrainers für die Sportart „Paratriathlon“ besetzt. Marc Kiefer heißt der „Neue“, der die deutschen Paratriathleten in den kommenden Jahren auf ihrem Weg zu nationalen und internationalen Erfolgen unterstützen und betreuen soll. Damit verdeutlicht der DBS auch die wachsende Bedeutung des Paratriathlons. Die Sportart wurde vor wenigen Monaten in das paralympische Programm der Sommerspiele von Rio de Janeiro 2016 aufgenommen. Erfahrungen im Leistungssport von Menschen mit einer Behinderung hat der 31-Jährige Sportlehrer, Triathlon-Trainer und Diplom-Sozialarbeiter bereits durch seine Tätigkeit als Leistungssportreferent im DBS sammeln können. Als Triathlon-Trainer, Rad- und Laufcoach hat er auch schon in der Nachwuchsarbeit sowie im ambitionierten Breitensportbereich gearbeitet. Es gibt schönere Tage für die Veranstalter der ersten Auflage des Ironman 70.3 Berlin, die am 16. Juni 2013 stattfinden soll. Nach der Vorjahrespremiere über das kürzere 5i50-Format sollte der nächste logische Schritt folgen, Berlins Bürgermeister Klaus Wowereit gilt als Unterstützer der Veranstaltung. Doch auch er muss sich natürlich der Gewaltenteilung beugen. Schleppende Verhandlungen mit den Behörden über eine genehmigungsfähige Radstrecke endeten schließlich mit der Verweigerung. Statt im idyllischen Grunewald wird das Startfeld des mit 1.300 Teilnehmern ausverkauften Triathlons auf den weitläufigen Startbahnen des ehemaligen Flughafen Berlin Tempelhof, der Tempelhofer Freiheit auf Rennrädern unterwegs sein. Die Szene sieht es ambivalent. Zwischen Desinteresse, betonter Gelassenheit, Neugierde und wutschnaubender Entrüstung sind in den Sozialen Medien und einschlägigen Triathlon-Foren alle Spielarten der Meinungsäußerung verfügbar. Hauptargument der Kritiker sind ein potentiell eintöniger Kurs und die Gefahr eines nicht regelkonform durchführbaren Triathlons wegen unerlaubten Windschattenfahrens. Wellenstarts sollen die Gefahr des sogenannten Draftings abwenden. Befürworter betrachten das kompakte Rennformat als eine Chance Zuschauer und Angehörige besser in den Wettkampf integrieren zu können. Lange Wartezeiten auf radelnde Triathleten auf weitläufigen Radstrecken sind bei dem Berliner Konzept nachrangig. Die World Triathlon Corporation (WTC) mit ihrer Deutschlandtochter Xdream Sports & Events GmbH hat bei der Durchführung auf den lokalen Partner SC Charlottenburg gesetzt. Die SCC Events GmbH ist bekannt und etabliert durch den herausragend organisierten Berlin Marathon. Den Planungen ist jedoch ein relativ neuer Senatsbeschluss in die Quere gekommen, der erstmalig für ein neues SCC-Event Anwendung fand. Im Kern soll bei den Genehmigungsbehörden stärker darauf geachtet werden, dass Umfang und Ausmaß von Absperrungen und natürlich auch Straßensperrungen in einem "sinnvollen Verhältnis" zur Größe der Veranstaltung stehen müssen. Im engeren Sinne müssen genügend Teilnehmer und Zuschauerzahlen garantiert werden. Alleine die Formulierung des Beschlusses lässt im Wortlaut Spielraum für Interpretationen. Das Standing des Veranstalters ist naturgemäß bei einer Erstauflage schwer, selbst wenn formal der Event ausverkauft ist. "Selbst ein Regierender Bürgermeister kann, auch wenn er die Idee eines Ironman in Berlin großartig findet, nichts gegen seine Genehmigungsbehörden ausrichten" wird Thomas Steffens, Sprecher der SCC Events GmbH auf tri-mag.de zitiert. Sven Alex, Präsident der Berliner Triathlon Union (BTU) bestätigt die Sichtweise und Argumentation der lokalen Ausrichter. "Wenn es schon nicht die Veranstalter des Berlin Marathons schaffen einen neuen Triathlon mit einem vergleichbaren Startfeld zu schaffen, wer dann?" Alex sieht die Ursachen primär im vollen und vielfältigen Veranstaltungskalender der Stadt Berlin. Der Triathlon muss mit zahlreichen anderen Events um Ressourcen und freie Termine kämpfen. Den Kürzeren gezogen habe in der jüngeren Vergangenheit etwa auch eine Veranstaltung aus dem "Formel 1 Umfeld". Die fehlende Genehmigung und Streckensperrung ist also kein Einzelfall und nur Ausdruck einer veränderten Genehmigungslandschaft der Hauptstadt. So ärgerlich und enttäuschend dieser Umstand für den ein oder anderen Starter sein mag. Alex hebt dennoch die Attraktivität des Standorts Berlin hervor und sieht die Streckenänderung durchaus auch als Chance einmal neue Wege zu gehen und die Zuschauer näher an das Rennen zu holen. "Die aktuell geplante Radstrecke ist aus Sicht von Triathleten völliges Neuland, auch wenn wir der festen Überzeugung sind, dass die neue Variante durch ihre Kompaktheit für dich und auch für deine Zuschauer großes Charme-Potenzial besitzt. Sowohl die Rad- als auch die Laufstrecke sind so gestaltet, dass sie mehrfach an einem außergewöhnlichen Hot-Spot vorbeiführen. Fans und Familienangehörige haben so weltweit erstmals die Möglichkeit, die Faszination Triathlon aus nächster Nähe mitzuerleben. Die Zeit, die du als Athlet in deine Vorbereitung investiert hast, wird damit auch für die Menschen, die dir wichtig sind, greifbar. Wir laden dich hiermit ein, Teil dieser historischen Premiere zu werden." Inanspruchnahme des Startrechts unter den geänderten Voraussetzungen. Wir erstatten dir deine Anmeldegebühr für den IRONMAN 70.3 Berlin inklusive der Active-Servicegebühr zu 100 Prozent. Das größte Anliegen unseres Lizenznehmers SC Charlottenburg und unser größter Wunsch ist die Zufriedenheit unserer Athleten. Du hast uns dein Vertrauen gegeben und das wissen wir sehr zu schätzen. Gerne würden wir mit Dir zusammen die Premiere des IRONMAN 70.3 in Berlin feiern. Wir bitten um dein Verständnis, dass unser Angebot zum Transfer bzw. der Rückerstattung mit 28. Mai 2013 endet. Das Landgericht Heilbronn hat in einem Urteil vom 20. Februar 2012 die unterschiedlichen Ansprüche an die Radstrecke eines Triathlons mit Windschattenverbot auf einer teilweise gesperrten Radstrecke und eines Radrennens mit Windschattenfreigabe herausgestellt. Das Urteil erfolgte auf eine Klage eines Triathleten, der über eine von drei kurz hintereinander folgenden, vom Veranstalter visuell mit Warnfarben markierten Bodenwellen gestürzt war und der Veranstalterin mangelhafte Sicherung der Strecke vorgeworfen hatte. Unstreitig blieb die Vorgabe des Gerichts, dass bei den in einem Triathlon erreichten Geschwindigkeiten eine manuelle Absicherung mit visuell und/oder akustisch vor dem Verkehrshindernis warnenden Streckenposten erforderlich ist. Die korrekte personelle Absicherung war ein Streitpunkt in dem Verfahren. Das Gericht stellte zudem fest, dass der Teilnehmer wegen des Sturzes "gegen den Veranstalter weder Schadensersatzansprüche gemäß §§ 280 Abs. 1, 276, 31 analog BGB noch gemäß § 823 Abs. 1 BGB geltend machen (könne), da der Veranstalter die ihm obliegende Verkehrssicherungspflicht nicht verletzt hat." Punkt G.1 c) der aktuellen Wettkampfordnung der Deutschen Triathlon Union e.V. (DTU) verpflichtet die teilnehmenden Triathleten beim Radfahren die Straßenverkehrsordnung (STVO) einzuhalten. Es darf grundsätzlich angezweifelt werden, ob im Einzelfall sämtliche Vorschriften der STVO einzuhalten sind. Allerdings ist die Verpflichtung der Wettkampfteilnehmer nicht von der Hand zu weisen, auf Warn- und Verkehrsschilder zu achten. Vor den drei Bodenschwellen befand sich in ausreichender Entfernung das Hinweisschild „Unebene Fahrbahn“. Die offiziellen Deutschen Meisterschaften der Deutsche Triathlon Union in der Langdistanz finden am 14. Juli im Rahmen der DATEV Challenge Roth statt. 2.298 Einzelstarter werden um die Deutschen Meistertitel im Elitebereich und den verschiedenen Altersklassen kämpfen. Das Organisationsteam um Renndirektor Felix Walchshöfer unterstreicht somit einmal mehr, dass der Wettkampf in Franken etwas Besonderes ist. Damit ist Roth erneut Austragungsort der offiziellen DM der DTU. Bis mindestens 2017 findet der Wettbewerb der besten deutschen Langdistanz-Triathleten wieder in der Triathlon-Hochburg statt, wie schon einmal in den Jahren 2004 bis 2010. Im Jahr 2012 hatte der Challenge Roth bei seiner 11. Auflage sogar die offizielle Triathlon-Europameisterschaft der Europäische Triathlon Union ausgetragen und mit hoher Wettkampf- und Servicequalität sowie der typischen Rother Gastfreundschaft bei den Funktionären sowohl auf europäischer als auch auf deutscher Verbandsebene punkten können. Neben Verband und Veranstalter sehen das auch die vielen deutschen Topstarter so, die in 2013 für den Wettkampf in Roth gemeldet haben. Um die Triathlon-Krone der DTU kämpft beim Klassiker DATEV Challenge Roth eine ganze Riege von deutschen Athleten innerhalb eines internationalen Weltklasse-Feldes. Siegchancen darf sich, eine perfekte Performance vorausgesetzt, sicherlich der international renommierte Triathlet Timo Bracht (Eberstadt) ausrechnen, der im Vorjahr zusätzlich zu seinem zweiten Challenge-Platz auch den Europameistertitel mit nach Hause nehmen konnte. Diesmal setzt er alles daran, seinen Namen in den Rother Geschichtsbüchern erstmals als Challenge-Sieger zu verewigen und sich gleichzeitig als Deutscher Meister ein Denkmal zu setzen. Der zweifache Olympiastarter Maik Petzold wird sein Langdistanz-Debüt im Frankenland geben, und gegen einen weiteren Titel hätte der Bautzener nichts einzuwenden, wenngleich er selbst davon nicht ernsthaft spricht. Ebenfalls den Kaderstrukturen der DTU entstammt Nils Frommhold (Freiburg). Nachdem er sein langes Debüt in 2012 gleich gewinnen konnte, wird er sein erstes Langdistanzrennen auf deutschem Boden auch toppmotiviert angehen. Konstantin Bachor (Wolfsburg) muss man ebenso auf der Liste haben. Im Vorjahr wurde er Dritter. Im stark besetzten Frauenfeld dürfen sich vor allem die Regensburgerin Sonja Tajsich und die Ditzingerin Julia Gajer Chancen auf die Deutsche Meisterschaft ausrechnen. Beide Frauen durften in den letzten Jahren mehrfach auf dem Rother Siegertreppchen Platz nehmen (2012: Sonja Tajsich Zweite, Julia Gajer Dritte) und gehören international zur allerersten Riege im Triathlonsport der Frauen. Aber noch eine weitere weibliche Ausnahme-Athletin könnte ins Geschehen mit eingreifen: Die zweimalige (2003 und 2004) Challenge Roth-Siegerin Nicole Leder. Sie nimmt am 14. Juli in Roth Abschied von der Triathlon-Langdistanz. Bei ihrem allerletzten Wettkampf Deutsche Meisterin zu werden, wäre ihr zu gönnen. A recent study conducted by Romain Meussen from Vrije Universiteit Brussel (Department of Human Physiology) published some key findings in Sports Science Exchange. "Physical activity has been associated with the reduction of a number of physical and mental disorders. There is now ample evidence that physical activity will decrease the incidence of cardiovascular disease, colon and breast cancer and obesity, but also diseases such as Alzheimer’s, depression and anxiety (Gómez-Pinilla, 2011; Van Praag, 2009). A number of large, prospective and cross-sectional observational studies find that the dietary profile benefiting cognitive function with aging contains weekly servings (2 - 5) of fish and multiple daily servings of cereals, darkly or brightly colored fruits and leafy vegetables (Parrott & Greenwood, 2007). Both diet and exercise have therefore been used as interventions to reverse the possible negative effect of ageing in brain function. This paper will describe how exercise and nutrition can influence brain development, brain performance and cognition"
Can the potential and actual performance of Ironman triathletes be measured and predicted by reviewing their hearts? 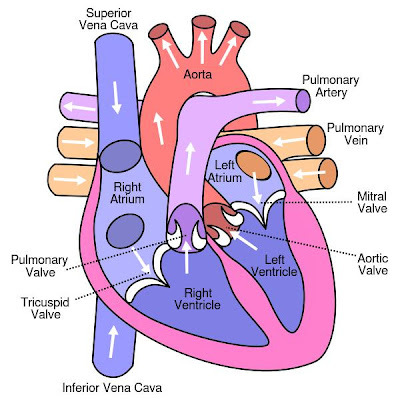 How important is the right ventricular fraction? A recent study from Alain M. Bernheim et al had some key findings. 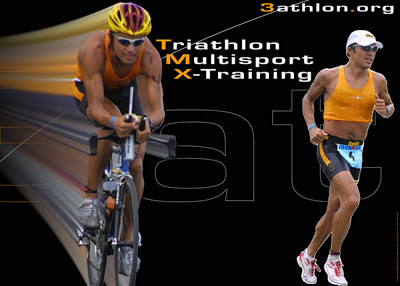 "Amateur IM athletes (ATHL) participating in the Zurich IM race in 2010 were included. Participants were examined the day before the race by a comprehensive echocardiographic examination. Moreover, anthropometric measurements were obtained the same day. During the 3 months before the race, each IM-ATHL maintained a detailed training diary. Recorded data were related to total Ironman race time." "Thirty-eight Ironman finishers (average age 38+/-9 years, 32 male [84%]) were evaluated. Average total race time was 684+/-89 minutes. For right ventricular fractional area change (average: 45+/-7%, Spearman-[rho]=-0.33; p=0.05) a weak correlation with race time was observed. Race performance exhibited stronger associations with percent body fat (15.2+/-5.6%, [rho]=0.56; p=0.001), speed in running training (11.7+/-1.2 km/h, [rho]=-0.52; p=0.002), and left ventricular myocardial mass index (98+/-24 g/m2, [rho]=-0.42; p=0.009). 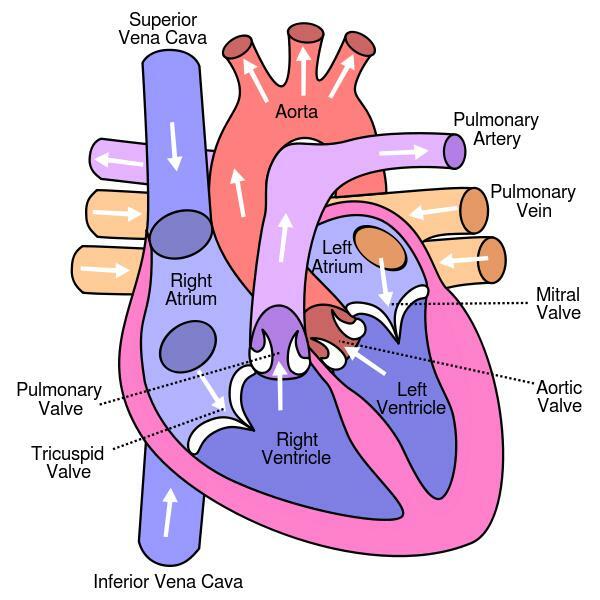 The strongest association was found between race time and right ventricular end-diastolic area (22+/-4 cm2, [rho]=-0.64; p<0.0001). In multivariate analysis, right ventricular end-diastolic area (beta=-16.7, 95% confidence interval: -27.3-[-6.1]; p=0.003) and percent body fat (beta=6.8, 95% confidence interval: 1.1-12.6; p=0.02) were independently predictive of Ironman race time." "In amateur IM-ATHL, RV end-diastole area and percent body fat were independently related to race performance. RV end-diastolic area was the strongest predictor of race time. The role of the RV in endurance exercise may thus be more important than previously thought and needs to be further studied." Research: Post-exercise whey protein hydrolysate supplementation induces a greater increase in muscle protein synthesis than its constituent amino acid content. A study from Japanese Meiji Company LTD compares the impact of whey protein hydrosylates and aminco acids post-exercise in muscle protein synthesis. The research was done with rats, transfer of key findings to human body is likely possible. "It is well known that ingestion of a protein source is effective in stimulating muscle protein synthesis after exercise. In addition, there are numerous reports on the impact of leucine and leucine-rich whey protein on muscle protein synthesis and mammalian target of rapamycin (mTOR) signalling. However, there is only limited information on the effects of whey protein hydrolysates (WPH) on muscle protein synthesis and mTOR signalling. The aim of the present study was to compare the effects of WPH and amino acids on muscle protein synthesis and the initiation of translation in skeletal muscle during the post-exercise phase. Male Sprague-Dawley rats swam for 2 h to depress muscle protein synthesis. Immediately after exercise, the animals were administered either carbohydrate (CHO), CHO plus an amino acid mixture (AA) or CHO plus WPH. At 1 h after exercise, the supplements containing whey-based protein (AA and WPH) caused a significant increase in the fractional rate of protein synthesis (FSR) compared with CHO. WPH also caused a significant increase in FSR compared with AA. Post-exercise ingestion of WPH caused a significant increase in the phosphorylation of mTOR levels compared with AA or CHO. In addition, WPH caused greater phosphorylation of ribosomal protein S6 kinase and eukaryotic initiation factor 4E-binding protein 1 than AA and CHO. In contrast, there was no difference in plasma amino acid levels following supplementation with either AA or WPH. These results indicate that WPH may include active components that are superior to amino acids for stimulating muscle protein synthesis and initiating translation." The World Anti-Doping Agency (WADA) made significant progress in its mission to enhance global support in the fight against doping in sport during the Agency’s Executive Committee and Foundation Board meetings held in Montreal this weekend. The meetings focused mainly on proposed amendments to the third draft of the 2015 World Anti-Doping Code in context of the Code Review Process with stakeholders that commenced in November 2011. 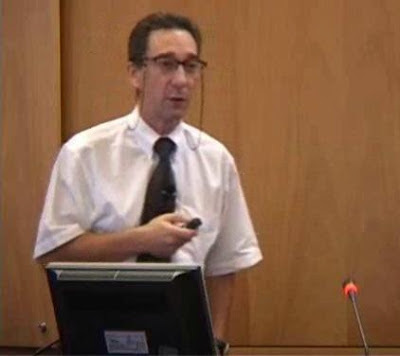 The review process included three phases of consultation and will conclude at the World Conference on Doping in Sport in Johannesburg, South Africa, November 12-15, 2013. A large number of submissions were received from stakeholders during the three phases of the consultation process. There have been nearly 4,000 individual comments on the Code and International Standards. Longer periods of ineligibility for real cheats and more flexibility in sanctioning in other specific circumstances. Consideration of the principles of proportionality and human rights. Assistance in the increasing importance of investigations in the fight against doping. Encompassing Athlete Support Personnel who are involved in doping. Emphasis on the concepts of smart test distribution planning, smart menus for Sample analysis, and smart Sample storage. Added clarity and equality in balancing the interests of International Federations and National Anti-Doping Organizations. WADA has looked at ways to improve the compliance report and to ensure it is a tool to measure quality and to judge the effectiveness of anti-doping programs. “Quality WADA-approved testing programs are needed to ensure, that testing is effective and that sophisticated cheaters are found. This will ultimately advance the fight against doping in sport,” said Mr. Fahey. The WADA Foundation Board received a report from the Ad Hoc Working Group responsible for reviewing the “ineffectiveness of testing” programs. The Ad Hoc Working Group, chaired by former WADA President Richard W. Pound, made a number of recommendations and suggestions on improvements to testing programs. WADA has immediately responded to the issues the Agency can address from a management perspective. The Code Drafting Team responsible for revising the Code and International Standards noted all the recommendations affecting the revision process and incorporated many of them within the drafts provided at the weekend meetings. A significant amount of work in response to the report has already been undertaken. Other recommendations are for the respective stakeholder groups to consider. The WADA Executive Committee directed that these groups be informed and asked to report to the Executive Committee at its meeting on September 11, in Buenos Aires. Foundation Board Members were presented with the approved program of the World Conference on Doping in Sport to be held November 12-15 in Johannesburg. The main focus will be the review and endorsement of the final version of the 2015 World Anti-Doping Code and related International Standards. The WADA Executive Committee and Foundation Board will convene in Johannesburg prior to the Conference and following its conclusion. A special meeting of the Foundation Board will also be required to approve the World Anti-Doping Code and International Standards prior to the Conference endorsing them. Further to the CAS award in the Andrus Veerpalu case last March, as the CAS panel was not “comfortably satisfied” with the decision limits currently applied to hGH testing, WADA is undertaking the work required to re-establish the limits with the assistance of independent teams of statisticians. The Executive Committee has decided to implement immediately a modification to WADA Technical document TD 2013DL to increase the threshold level for marijuana to 150 ng/ml. Marijuana is a prohibited substance for in-competition testing, and remains on the Prohibited List. It has never been prohibited out-of-competition. The change to the threshold will mean that athletes using the substance in-competition will be detected. The threshold can be monitored and changed at any time. The Athlete Committee urged the Kenyan government to put in place an independent inquiry to look into the doping allegations that the country’s athletes have been facing for some time now. Schwalbe Team Krefelder Kanu Klub und Ejot Team Buschhütten heißen die beiden Siegermannschaften zum Auftakt der Ersten Triathlon Bundesliga. In Kreuztal hatten sich die besten Triathlon-Teams Deutschland eingefunden und über eine Sprintdistanz die Tagessieger ermittelt. Die Krefelder Damen um die internationalen Topstarterinnen Rachel Klamer (NED) und Irina Abysova (RUS) sowie die Buschhüttener Herren um die deutschen Kaderathleten Steffen Justus und Maik Petzold erwiesen sich dabei als die Stärksten. Auf den Plätzen folgten im Frauenrennen Buschhütten und das Stadtwerke Team Witten sowie bei den Herren Triathlon Potsdam und das Bromelain POS Team Saarland. Etwas überraschend verlief das Rennen der Herren. Dass die Nachwuchstruppe aus Saarbrücken nach dem zweiten Wechsel als erstes Team auf die Laufstrecke gehen würde, hatten nur wenige erwartet. „Als Führende auf die Laufstrecke zu gehen, war toll“, leuchteten noch im Ziel die Augen von Micha Zimmer. „Mit einem so tollen Resultat hatten wir nicht gerechnet.“ Anerkennung bekamen die Saarbrücker, für die auch Olympiasieger Jan Frodeno noch starten wird, auch von allen Konkurrenten. Sieger Maik Petzold sagte stellvertretend. „Vor den Jungs ziehe ich den Hut. Der Wettkampf war heute knüppelhart und es ist schön, dass wir gewonnen haben, was ja auch ein bisschen Pflichtprogramm war beim Heimspiel“, so der Routinier. Jedes „Johr em Sommer jeiht dat Spillche widder loss“. So besingt seit vielen Jahren eine bekannte Kölner Mundartgruppe den Jahresurlaub der Deutschen in Spanien. Für die Kölner Triathleten kann man das Lied auch auf das beliebte Freiwassertraining im Fühlinger See übertragen. Sobald die Außen- und Wassertemperaturen steigen, geht’s nach der Arbeit in den Norden der Stadt, um auf der 2 km langen Regattabahn die Trainingseinheiten zu kraulen. Doch damit soll jetzt Schluss sein. Die zuständigen Ämter der Stadt Köln wollen das schon immer bestehende Schwimmverbot auf der Ruderstrecke durchsetzen. Als diese 1978 fertiggestellt war, im Jahr des ersten Hawaii-Ironman, dachte in Köln noch kein Mensch daran, dass irgendwann einmal schwimmende Triathleten dort zum Problem würden. Aber gerade in den vergangenen beiden Jahren ergab sich, auch durch die Mitgliederzuwächse in Vereinen der Region bedingt, ein stark steigender Zustrom an Triathleten. Am dortigen Landesleistungsstützpunkt sind etwa dreißig Ruder- und Kanuvereine beheimatet. Immer wieder wurde von heiklen Situationen und auch Unfällen berichtet, die Schwimmern leichte Verletzungen nach unliebsamen Bekanntschaften mit den harten Blättern oder Bootsrümpfen einbrachten. Gut gemeinte Ratschläge langjähriger Triathleten, ausschließlich auf der mittleren Bahn zu schwimmen und dort eng an den Bojen zu bleiben wurden mehr und mehr missachtet. Organisierte Gruppentrainingseinheiten, zuweilen nach der Intervallmethode alle Bahnen querend erzeugten Kopfschütteln bei Beobachtern. Die Zustände führten schließlich im letzten Sommer mehrere Athleten aus verschiedenen Vereinen zusammen, die eine regelmäßige und offizielle Nutzung der Ruderstrecke beim für die Anlage zuständigen Sportamt beantragten. Im Detail ging es dabei um die Freigabe einer der sieben mit Leinen abgetrennten Bahnen für Schwimmer in dem etwa 130 m breiten Gewässer. Man schaltete eine Website und erhielt binnen kurzer Zeit über 700 Unterschriften für das Vorhaben, die den Gesprächen mit der Stadt Nachdruck verleihen sollten. Im September drehte der WDR vor Ort einen Kurzbericht mit der vorgegebenen Zielsetzung zu vermitteln und einen Konsens zwischen den beiden Nutzergruppen herauszuarbeiten. Dieser stellte sich nicht ein und am Ende standen die Ruderer und Kanuten obendrein mit den besseren Argumenten da. Die Stadtverwaltung sah dies ähnlich und lehnte eine zeitgleiche Nutzung aufgrund der akuten Kollisionsgefahren sowie der fehlenden Rettungsaufsicht ab. Das Rechtsamt zeigte später bei seiner juristischen Prüfung ein grundsätzliches Problem auf, welches bei der Einrichtung einer Schwimmstrecke für Triathleten auf der Regattabahn entstehe. Diese suggeriere die offizielle Freigabe zum Schwimmen für Jedermann und die Existenz der dazu nötigen Sicherheitsmaßnahmen einer jedoch fehlenden Badeaufsicht. Eine Abgrenzung zwischen Triathleten und anderen Schwimmern sei nicht möglich, die Verkehrssicherungspflicht der Stadt Köln als Grundstückseigentümerin nicht realisierbar. Dennoch blieb die Stadt gesprächs- und kompromissbereit und dies schon aus eigenem Interesse. Da das Thema mittlerweile in mehreren Ausschüssen behandelt wurde und in den Medien zirkuliert, gerät sie ab diesem Sommer unter Druck das satzungsmäßig verankerte Schwimmverbot auch zu überwachen und Verstöße als Ordnungswidrigkeiten zu verfolgen. Dies belastet die Ressourcen des Ordnungsamtes und lässt sich auf dem sehr großen Gelände nur schwer aufrechterhalten. Insbesondere an heißen Sommertagen ist das gesamte rund 100 Hektar Wasserfläche umfassende Gebiet mit Besuchern bevölkert, die jeden Zugang zu den Teilbecken und auch der Regattabahn nutzen. Nun will die Stadt in Zusammenarbeit mit einem Outdoor-Event-Veranstalter eine spezielle Triathlon-Trainingsstrecke im einzig offiziell für das Schwimmen freigegebenen und beaufsichtigten Teilbecken anbieten, dem Freibad im südwestlichen Bereich des Naherholungsgebietes. Dort soll ein gut 700 m langer mit Bojen markierter Rechteckkurs in Strandnähe eingerichtet und beaufsichtigt werden. Doch das ist nicht kostenlos und zudem an feste Zeiten gebunden. Der private Betreiber des Freibades soll zunächst probeweise an drei Tagen in der Woche für je drei Stunden eine Badeaufsicht stellen. Die Kosten von etwa 3.500 Euro pro Saison müssen von den Kölner Triathlonvereinen und ihren Mitgliedern getragen werden. Ob diese Lösung in der Praxis funktioniert ist schon in Bezug auf die notwendige Anzahl der Interessenten an einem solchen Saisonpass fraglich. Hoch interessant wird es dann mit Blick auf die nicht wenigen vereinslosen Triathleten sowie Mitglieder anderer Vereine, auch und gerade im Vorfeld des immer Anfang September dort stattfindenden Köln-Triathlon. Zieht es diese nach wie vor auf die Regattabahn und schafft es die Stadt nicht dort abschreckende Kontrollmaßnahmen umzusetzen, könnte schon alleine die Macht der Gewohnheit schnell für alte Verhältnisse sorgen. Die Ruderinsel an der Regattabahn ist besser erreichbar, hat deutlich mehr Parkplätze und die kürzeren Wege zum Wasser. Das Strandbad ist nach Osten ausgerichtet und liegt am späten Nachmittag im Schatten der dahinter aufragenden und bewaldeten Böschung. Aber einen zugkräftigen Vorteil gibt es dort: der Rechteckkurs schult die Orientierung im Offenwasser und simuliert den Wettkampf besser als es die Regattabahn mit ihrem einzigen Richtungswechsel und den schnurgeraden Unterwasserleinen jemals könnte. As part of its continuous, ongoing efforts to improve its athlete’s race experience, IRONMAN has conducted a full review of the swim portion of all full-distance IRONMAN® events in North America. The results of that review have led to a two-phase SwimSmart initiative focused on improving athlete satisfaction and reducing anxiety during the swim portion of the race. IRONMAN will pilot several alternative race starts at select events to further enhance the athlete experience and reduce swim anxiety. Three events in 2013 will feature new swim start formats – IRONMAN Coeur d’Alene, IRONMAN Lake Placid and IRONMAN Mont-Tremblant – while two other 2013 events, IRONMAN Lake Tahoe and IRONMAN Florida, will feature modifications in how athletes start their races. North American IRONMAN® events will include a pre-race, in-water warm-up whenever possible. Water temperature below 52 degrees Fahrenheit or above 88 degrees Fahrenheit will result in cancellation or shortening of the swim portion of the race. The second phase of the initiative will feature a comprehensive effort to educate athletes about reducing anxiety associated with the swim portion of IRONMAN® events, focusing on pre-race screening for potential health issues, pre-race training and race week preparation. Such efforts will use all IRONMAN media platforms and will include a checklist and on-line videos. Swim-specific educational communications will begin at the end of May. Athletes will be directed to self-seed on race morning based on their projected swim time. Volunteers and staff will be in the staging area with signs and will assist with this process. Self-seeding will not be mandatory but will be encouraged. At both events, all athletes will have access to a dedicated warm-up area in the water located adjacent to the swim start. The other IRONMAN® events in North America (IRONMAN Texas, IRONMAN Louisville, IRONMAN Wisconsin, IRONMAN Arizona) are scheduled to have the same swim start format as in 2012 which can be found on ironman.com; IRONMAN Canada (with a new venue in 2013) will feature a two-loop swim with an in-water mass start. Athletes are urged to refer to the Athlete Guide and event website for the most up-to-date event and course information. Attending the -mandatory athlete meeting prior to each race can assist in answering any questions you may have.